Discover a unique story of a man used by God amidst tragedy and blindness, and who shows what happens when you trust God. 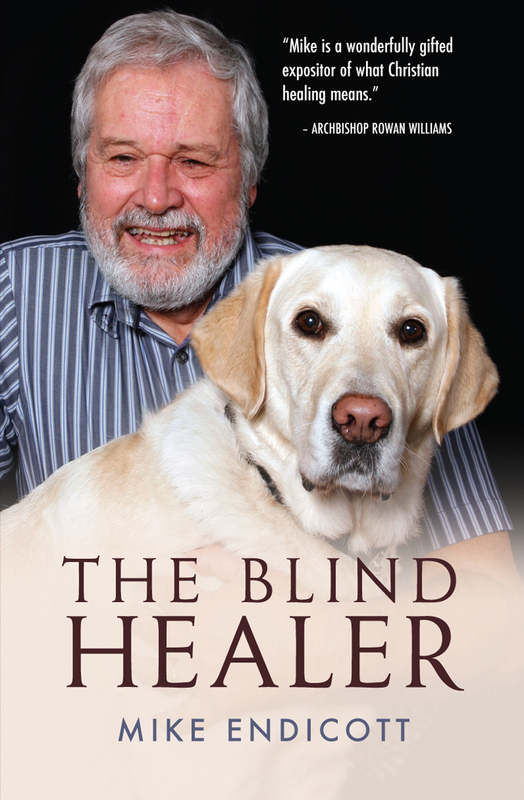 In Blind Healer we see how Mike Endicott has developed a remarkable healing ministry despite his increasing blindness. There are two remarkable aspects to Mike Endicott's work. First, his ministry is blessed with astonishing miracles; second, he suffers from retinitis pigmentosa, which led to his becoming completely blind in his mid-forties. This is his account of his life and teaching. He explains: "I am convinced that God wants his church to have the same reputation today that Jesus had during his earthly ministry. I reckon he wants people to say the same sort of things about us that they must have said to each other about those first-generation disciples. Our ministry has to do what it says on the tin." 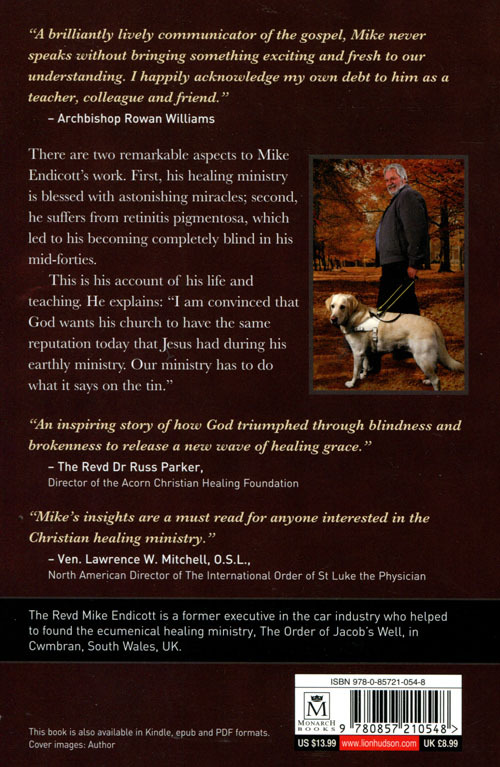 Blind Healer by Mike Endicott was published by Lion Hudson in August 2011 and is our 16274th best seller. The ISBN for Blind Healer is 9780857210548. I was so curious about this title. It seemed like a contradiction in terms, but reading this has helped convince me that miracles can still happen. The author, Mike Endicott, started off having entirely no interest in religion, forgetting everything that he'd learned in the schoolroom. He married early, and became a factory worker. His career prospects and financial worries slowly worsened, due to the fact that he was slowly going blind. He remembered his schoolboy religion, and started using this as a lifeline, even applying for training in the Anglican Church. Nothing went right for Mike until he became 'born again' during a service one Christmastide, when he begged Jesus to take the management load from his shoulders. This was a slow turnaround for him, and he slowly became friends with the local vicar. They set up prayer meetings together, and seriously began to hunt for a place of their own in which they could worship and heal the sick. The Well Centre finally opened, and Mike was fully committed to it. However, along the way, he had to give his financial concern to God, and those early days were an economical and DIY nightmare, as Mike and his team were responsible for the centre's painting, fittings and decoration. Mike started to reap rewards for his work, and see a lot of physical healing. One of the Bishops involved in The Well finally offered him ordination, and since then, Mike's career has taken off in leaps and bounds. What I find amazing about The Blind Healer is that, even though God never healed Mike, he used his blindness to help heal people and make them better. If Mike had had full vision and was able to function properly in his factory, then a lot of people might never have been healed. It's not to say that Mike didn’t have a personal struggle with his blindness, and battled against it - but he was able to come to terms with his disability, and use it so that others might be made whole again. Got a question? No problem! Just click here to ask us about Blind Healer.